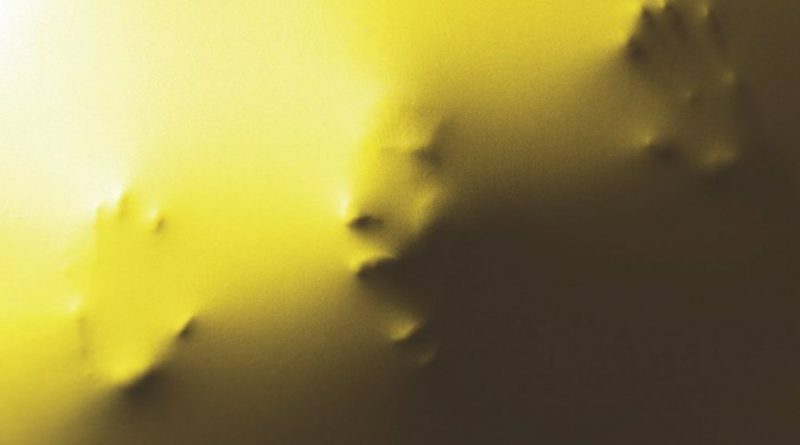 Adapted by Ruby Lawrence from Charlotte Perkins Gilman's 1892 short story of the same name, The Yellow Wallpaper is an ominous tale of psychological horror set within the walls of a single sunny room. Mayou Trikerioti's set catches the eye when you enter the theatre: a clean, minimalist, almost lemony-scented apparition - punctuated only by a cream chaise longue. It looks very Ideal Home - and very far from a nightmare. And yet this is precisely what it becomes for writer, wife and new mother Alice (Gemma Yates-Round). We meet her in a doctor's office being poked and prodded through medical exams, full of optimism for her new role as a nurturing, caring mother. Yet, after the birth, where we're told that Alice has succumbed to a condition 'that is known to affect a percentage of women', that we recognise as post-partum depression. Her husband and the doctor prescribe a cure that involves physical and mental rest until she's back to her old self. This involves being separated from her new baby, sequestered away into a country house, instructed to take regular naps, to eat hearty meals, to stop writing and generally to be observed like a lab rat until the men in her life judge her to be 'cured'. At the beginning of this process, she discovers the yellow wallpapered room in the house, which may once have been a nursery. Now she spends the long dull days staring at the way the sun and moon play against the wallpaper, occasionally catching a glimpse of some... thing existing within the pattern. Both Lawrence's adaptation and Gilman's original short story are fuelled by patriarchal dominance. Alice spends the play being stripped of her autonomy and ordered about 'for her own good'. She's deprived of every glimmer of creativity and morsel of intellectual stimulus, and delusions and hallucinations rush to fill the mental void she's forced to occupy. This omnipresent sense of masculine control stretches throughout the play, with Charles Warner's 'Not-Alice' (i.e. every other character) Mr Fantastic-ally of manspreading across every single surface. He's constantly enveloping Alice in his arms, his height and reach (and constantly demeaning nicknames like "silly goose") having the effect infantilising her. Bolted on top of the original story is a fairytale being written by Alice for her child This story, about a Prince and Princess who go to great lengths to save the life of a frozen giant, at first felt like a distraction. However, I eventually understood it as providing a contrast in healing methods between the top-down authoritarianism of the men imposing a course of therapy upon Alice and the way the characters of the fairytale listen to and understand the plight of the giant. The key difference is that the Prince and Princess suffer greatly in enacting their successful cure, fully committing themselves to a course of action, while the men treating Alice are emotionally and physically unaffected by her condition, seeing her more as a problem to be fixed. That said, it is perhaps a tonal shift e too far to spend so much of the play telling this fairytale rather than grappling with the psychological reality of what Alice is going through. Though I haven't read the original short story, I found myself comparing this to classics of psychological cinema; namely Roman Polanski's Repulsion and Rosemary's Baby, and Darren Aronofsky's more recent Mother!. All of these films deal with confined women under a masculine thumb whose domestic lives become hell. Thinking of these left me hungry to see a more dramatic transformation in Alice - the arrival of her mania feels like it should be the start of the third act rather than the climax. Performatively both Yates-Round and Warner deliver the goods, though I'm on the fence about whether Alice's fourth-wall bustin' asides to the audience help or hinder. On one hand, we feel a quick connection and empathy with her, on the other breaking the artifice of the yellow room so early on feels like a waste of atmosphere. Either way, she's a believably tragic figure, playing Alice's condition without sensationalism. 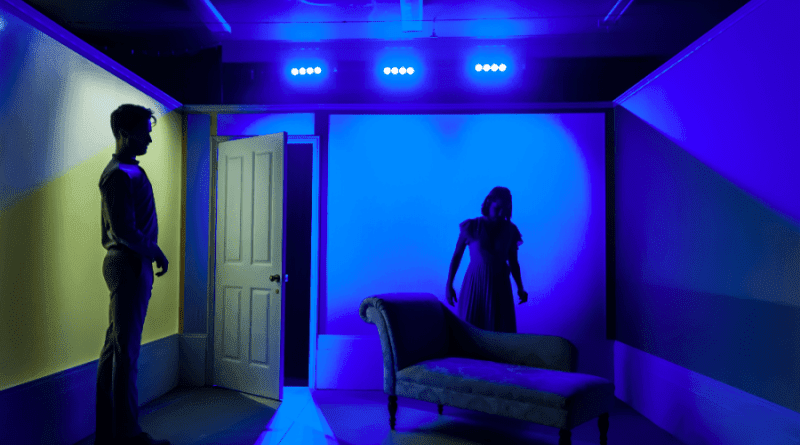 By the time the curtain falls, The Yellow Wallpaper has defined itself as stylish and smart, - a play that asks a whole bunch of pertinent questions yet fails to deliver many answers. I could have done with the various fantastical and domestic elements of the narrative dovetailing a bit more neatly, with perhaps a little more time devoted to the consequences of the final scenes. It leaves a play that's entertaining and sometimes brilliantly atmospheric, but one that lands a little short of unreserved success. The Yellow Wallpaper is at the Omnibus Theatre until 24 June. Tickets here.